Here is a recent thrift shop coffee table purchase. I painted this table with Dutch Boy Antiquated Lace Chalky Finish Paint. I also used the Plaid Layering Block to distress the edges and center with paint. See that technique HERE. 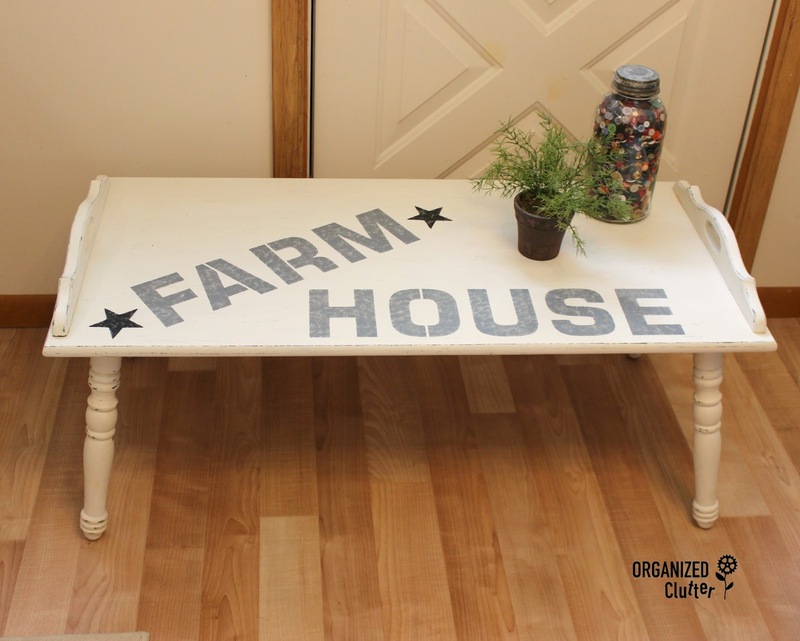 I used the new *Large Size Farm House stencil from Old Sign Stencils on the top of the table. I stenciled with Ceramcoat Hippo gray craft paint. I don't like to use the minwax directed on the Dutch Boy Chalk Paint can. I prefer to seal with water based matte Varathane Polyurethane. Easier application and better protection. 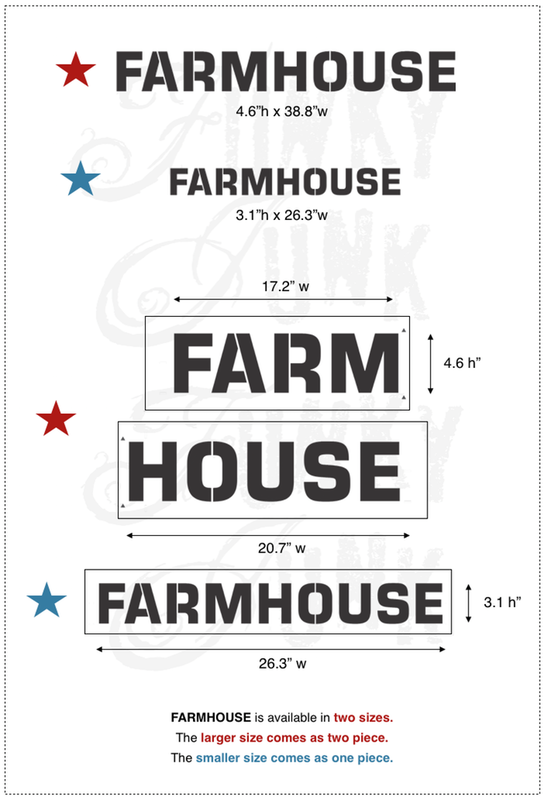 I added a couple of black stars on each side of "Farm". A bold stencil but fun! 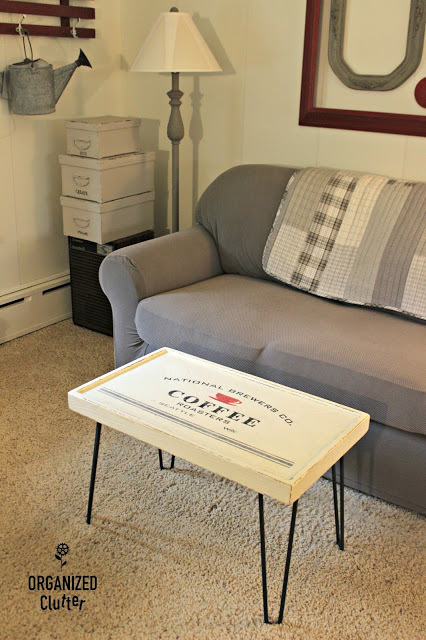 What do you think the Coffee Themed Coffee Table or the Farmhouse Coffee Table? I think the Farm House table gives your room a warmer look. Great job as always. Precious. Great makeover. From 1968 to 2016. Perfect. I'd be so tempted to keep it if I were you. They are both great! It would be hard to decide which one to keep! I think you should keep both. The "hair pin" table looks kinda small for a coffee table,...maybe could be used as a end table? Maybe? I think you new farm house table looks more size appropriate in front of the sofa. Either way, they are great finds and what you've done with them is just adorable. Hmmm, maybe your daughter could use one of them as a Christmas present. I don't know where you've placed the vintage magazine stand, but I can picture all three in the same room somehow. Keep the posts coming, I love seeing when I have a post from you!! Great Job! 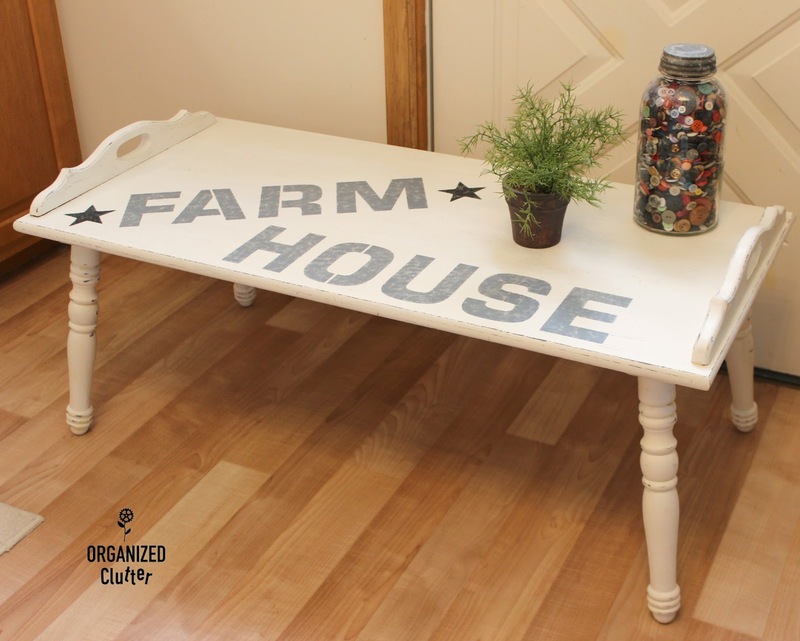 Both look great, but I think the farmhouse table goes better with the sofa! They are both adorable - you are so creative!! You don't make a choice easy, do you? :D I LOVE the farmhouse one right where it is... maybe the coffee one can be a side table elsewhere? You really do the stencils justice, Carlene, always love seeing what you come up with! And as always, thank you for the generous mentions! That's a toughie. I like them both, but am leaning towards the hairpin one...Seems like the colors go together very nicely, not that the other doesn't. I like both. I like the coffee graphics on the hairpin table better. 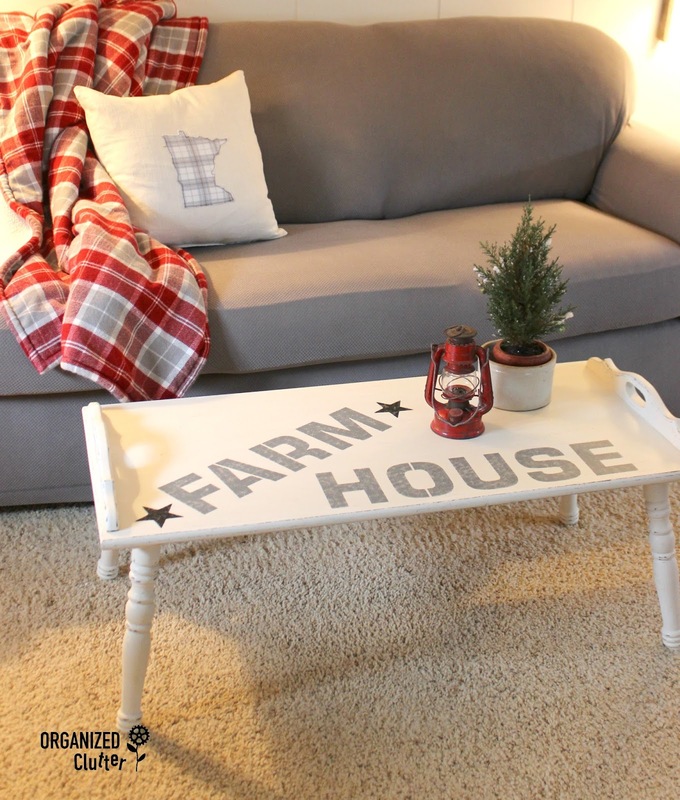 The farmhouse table is a better scale for the sofa, but the lettering looks maybe too modern? That's a hard choice! I think their both beautiful! I like the larger one, but then I love the hair pin legs on the other one too!